"Oh, man!" I groaned miserably. My sciatica flared up again! When it flares up, I experience back pain as well as the shooting pain down my leg that sciatica brings. Back pain is a bummer. So are joint pains, neck tension, and sore muscles from hard work. If you're older than about 12, I'm sure you've experienced some of this kind of pain! 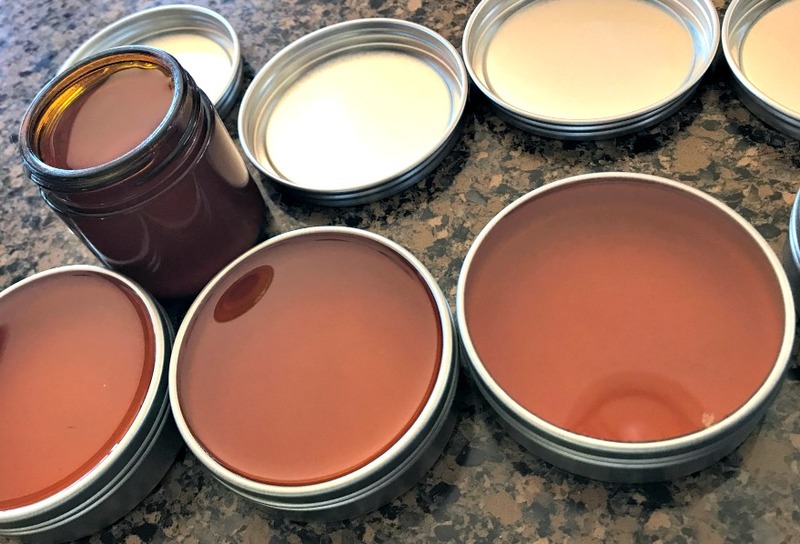 My husband and I happen to experience all of these pains at some points or other, so we stay prepared and keep this homemade pain relief salve on hand! Since we ran out of our special salve a couple of weeks ago, it is definitely time to make some more pain relief salve. Here is my recipe for a lovely salve that helps relieve pain, and because of the properties of the ingredients (info. below), may actually help heal some issues over time. Sometimes, your body just hurts. Whether it's joints, muscles, or just general soreness, a pain relief salve may help! Find out how to make your own herbal salve to help relieve pain, soothe sore muscles, relieve tension, and loosen joints. It's easy, practical, and best---it works! Here I'm straining out olive oil infused with St. John's Wort herb. See that beautiful red color? That's an indication of how powerful it is---it changed the oil from green to red. Nice! To make an infused oil, just place your herbs in a glass jar, cover completely with your oil of choice (for salves, I prefer olive oil or sweet almond oil, which is very emollient), and allow to sit for about six weeks. Shake occasionally. If you are planning on creating salves using herbs, it's a good idea to plan ahead to have your infused oils ready to go. There is a "fast" way to infuse your oils with herbs, but I much prefer the slower way I just described. For a more detailed account of both the "fast" and "slow" ways, check out my article on how to infuse oils with herbs for medicinal use. You'll need to measure out your oils---For a good salve, the general rule of thumb is 1 cup of oil to 1/4 cup of beeswax. Place 1/2 cup of the St. John's Wort oil, 1/4 cup of the Arnica infused oil, and 1/4 cup of the Cayenne infused oil into a glass Mason jar OR your double boiler. Now add 1/4 cup of beeswax pellets. Here are the oils and beeswax measured out into the Mason jar I use as part of my double boiler set up. I don't use a "real" double boiler to make my salves. Instead I have dedicated Mason jars for each kind of salve I make. These serve as the container that I place inside a pan filled with about an inch and a half or so of cool water. Set your Mason jar with the oils and beeswax inside the pan of water. Turn on the heat, and set it to low---no hotter than medium-low. You don't want that Mason jar to break, trust me! Stir or pick up the Mason jar periodically to swirl the oils/beeswax as they melt, if you want. This will speed up the process. Once your oils and beeswax are completely melted together, remove the jar from the heat. I allow my oils to "sit" for a few minutes---without starting to solidify, just to cool it down a bit before adding the essential oils. Now, add your oils. I used 30 drops of Peppermint, 50 drops of Wintergreen, and 20 drops of Ginger to this salve. I was running out of Peppermint. I usually use more--and my husband even noticed. He likes the smell of it. Stir the essential oils gently into the oil completely. You can use more essential oil if you like a heavier scented or stronger-acting salve. 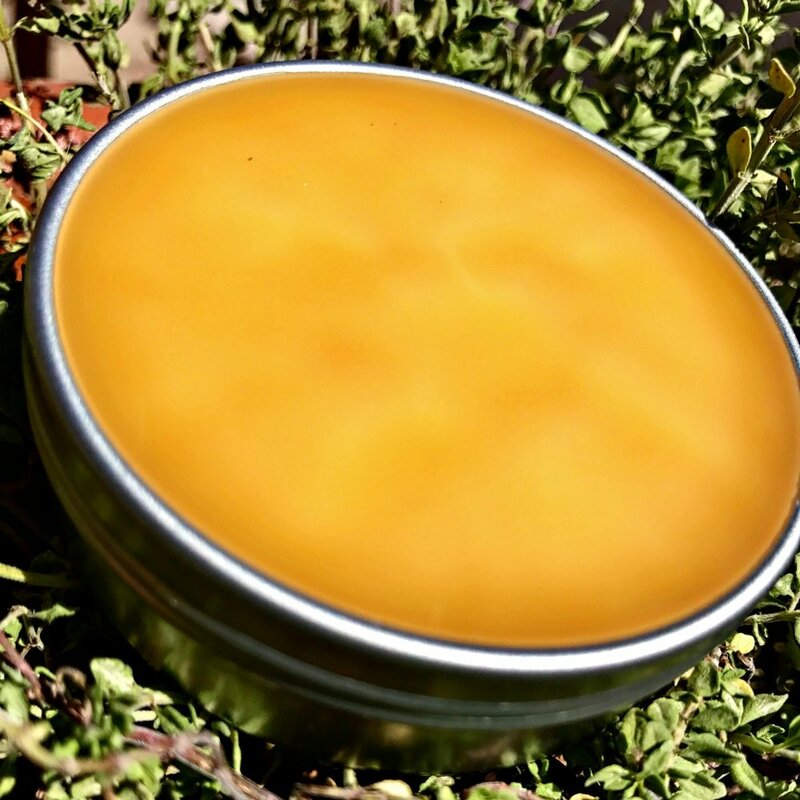 All the essential oils I used in this salve are for therapeutic use in helping relieve pain. More about the medicinal properties coming up! Liquid salve, just poured into tins. Here's my latest eBook: Herbal Salves, Oils, Butters, & Balms: Everything you need to know! I like to use two-ounce metal tins or four-ounce amber glass jars for my salves. The tins are nice because they are flat and easy to carry around. However, if the temperature warms up, the salve may melt, causing a mess! If heat is a concern, then using two- or four-ounce amber glass jars with a lid works great! The salve won't leak out of those, in case of meltage! Isn't that a lovely salve? Perfect! Be sure you label your container with what type of salve it is, and I like to list the herbs and essential oils too, in case anyone is sensitive to any of the ingredients. Learn how to make your very own hot process soap and how to customize it the way YOU want with natural herbs, clays, and essential oils! Available on Amazon Kindle too! Just rub a small amount into the areas needed. We use this salve on the back of our necks to relieve muscle tension; on our lower backs for general back pain; I rub on my knuckles when they are feeling stiff; and my knees get massaged with this salve quite often too! Be sure to avoid your eyes and sensitive areas! My hands-down favorite merchant to buy my herbs is Starwest Botanicals. They also sell quality essential oils that I use in soap making and are great for salves too. Their quality is extremely good, and they have many different options as far as quantity and organic vs. wild harvested. They are also fast! There are so many different grades of essential oils, and you do have to exercise caution with where you purchase yours. The Amazon links in this article are for Plant Therapy oils. Finally, you can buy excellent quality essential oils from Starwest Botanicals. I love their oils, especially for use in soap making and using in salves. Here is a brief rundown of the plants contained in my pain relief salve. For more information on each, I recommend doing some additional research if you are interested, as these are just quick overviews. I choose my essential oils and herbs with great intention, and these are my favorites for making pain relief salve! St. John's Wort is one of my favorite herbs for both internal and external use. It's a fabulous healer for wounds, helps with general neuralgia, and it aids in pain relief too. For internal use, it is well-known to help balance the emotions, calm and soothe. It's a great all around herb. I like to grow my own St. John's Wort from seed every year, although it is fairly hardy, and will often come back each Spring. This past year, my chickens had a hey-day with it, though---so I'll be starting more seedlings next Spring! Contraindications: St. John's Wort should not be taken internally if you are also taking antidepressants. Also, if taken internally in VERY high dosages, it may cause photosensitivity, especially in livestock that eat a great deal of it in pasture. 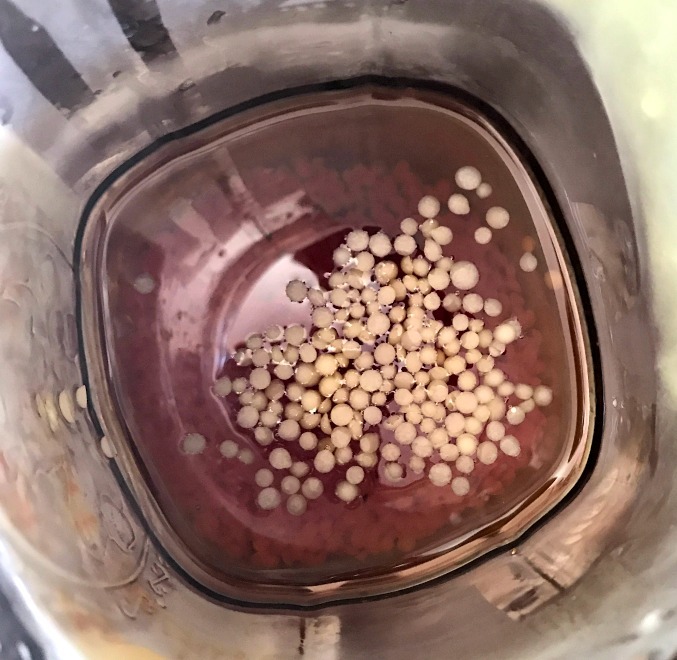 At any rate, always check in with your doctor before using any herb, especially if you are pregnant, nursing, have heart or liver conditions. Arnica has a long history of use for reducing swelling and inflammation of bruises, wounds, and other external pains, such as muscle aches. It's become so well-known you can walk into your neighborhood drug store and readily find arnica creams to use. I like to make my own salves, however, because I know exactly what is in them! High quality herbs and essential oils---no chemicals. Contraindications: Arnica should not be used internally. External use only. Who would think Cayenne pepper, as hot as it is, would be a pain reliever? Well, it is, and this is because of the high levels of capsaicin it contains. In fact, it also has hemostatic properties, and can help staunch bleeding, as well as help control pain. As far as joints go, when used over time, Cayenne may help heal and soothe arthritic joints. 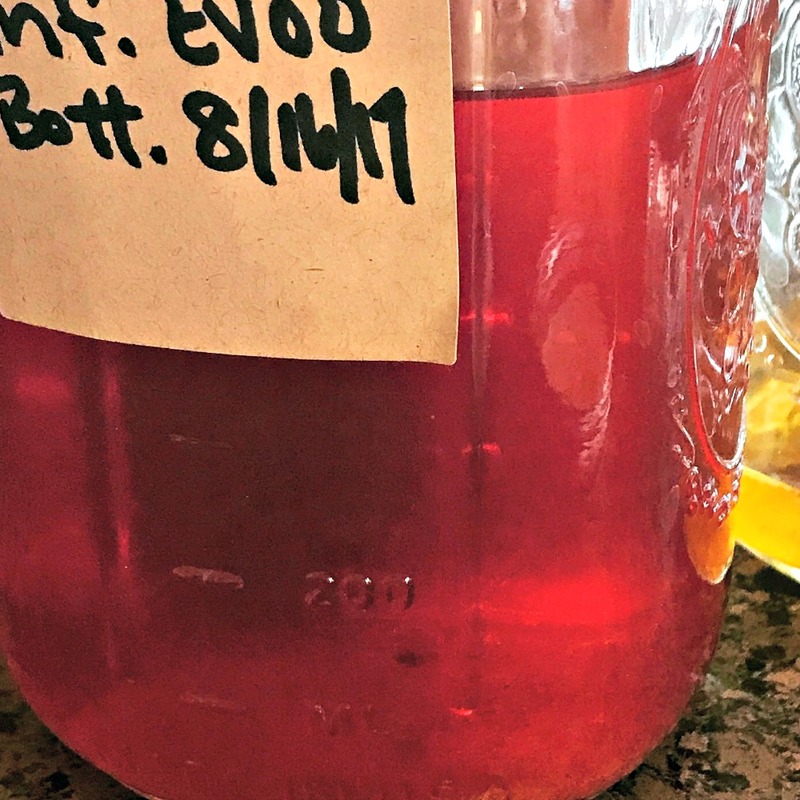 Here's an article about using Cayenne to make your own Quikclot, if you are interested! Wintergreen essential oil has a pungent sightly minty scent. It also happens to contain high levels of methyl salicylate, which is the compound that makes aspirin work! When applied topically, it helps decrease pain and inflammation, for my husband and I, with phenomenal results. Contraindications: Wintergreen should not be used internally. Also, if you are using blood thinners, please seek advice from a medical professional before using Wintergreen. Oh, we all know about Peppermint! Aromatic, minty, beautiful---it cools us down and makes us happy! Peppermint is also excellent when combined with other oils for pain relief! It soothes and cools. Peppermint is generally considered safe. I added Ginger to this pain relief oil because of its warming and stimulating properties. It helps activate and enhance the healing properties of the other herbs and essential oils combined in this salve. I say: Make your own! :-) You'll know exactly what is in your salve, and you will be able to make adjustments based on your own specific needs and wants. It's inexpensive, easy to do, and enjoyable. Plus, the feeling of empowerment you will have by making your own herbal remedies is incredible! If you have any questions or experiences with making your own salves, I hope you'll leave a comment in the comment section. Do you make your own herbal salves? What are your favorites? P.S. If you haven't already done so, I hope you'll sign up for our newsletter! You'll never miss a thing! Plus, you’ll get access to the free Resource Library that’s updated every week with new goodies just for you! Just complete the form below! Disclaimer: I am not a medical doctor. The information in this article, elsewhere on my website, and in my publications is for informational purposes only and is simply my personal opinion based on years of experience and study. No statement included here is meant to diagnose, treat, cure, or prevent any health issue. Please seek advice from your doctor before using any herbal remedy, and always do your own research! These statements have not been evaluated by the FDA.